You are currently browsing the category archive for the ‘Teena Marie’ category. 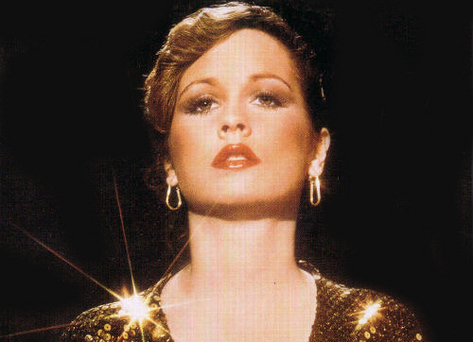 Ask me what I need…I need Teena Marie. There are so many things for which we must thank Rick James (“Superfreak,” the Mary Jane Girls, Eddie Murphy’s “Party All the Time”), but chief among them is certainly his mentorship – wink nudge – of the curly-haired, juicy-lipped Lady T. Not that she was some kind of shrinking violet waiting for a man to help her find her voice – the woman writes, sings, plays guitar, and twirls around in sequins. Bow down, mortals. Middle America clearly prefers the lighter, sillier side of the funk universe; Teena’s songs aren’t exactly what you would call “deep,” but they are confrontational, whether coming on strong to a man – “Phase two: Me, you/Dancin’ on a cloud” – or…well, that’s more or less the storyline. Teena wants, needs, and demands love, whether at the beginning, middle or end of the relationship. However, she expresses those demands oh-so-creatively, with shout-outs to Shakespeare, Sarah Vaughn and Nikki Giovanni and turning lame pick-up lines into funk gold – “Coffee, tea or me baby, touche ole” (itself a reference to the woman of color inside her milky exterior?). Teena’s 1980 record Irons in the Fire is dedicated by the singer to her “Daddy,” with a framed photo of the beloved parent in question on the inner cover of the album jacket. Perhaps not so unusual, except for the juxtaposition of this image with the cover picture of Teena herself, wrapped suggestively in a length of satin, seated in front of just the kind of roaring fire lovers of the 1970s would get busy in front of after coming home from the disco. I’m sure her relationship with her father was not the scandal one might infer from the above information (though he does look like a guy who might pull a shotgun on someone for giving his daughter a hickey), but it’s curious that a woman so entirely focused on giving, and getting, intense, sweaty, funky love names the “first man in her life” as her strength and inspiration. Ask her what she needs…she needs some therapy.